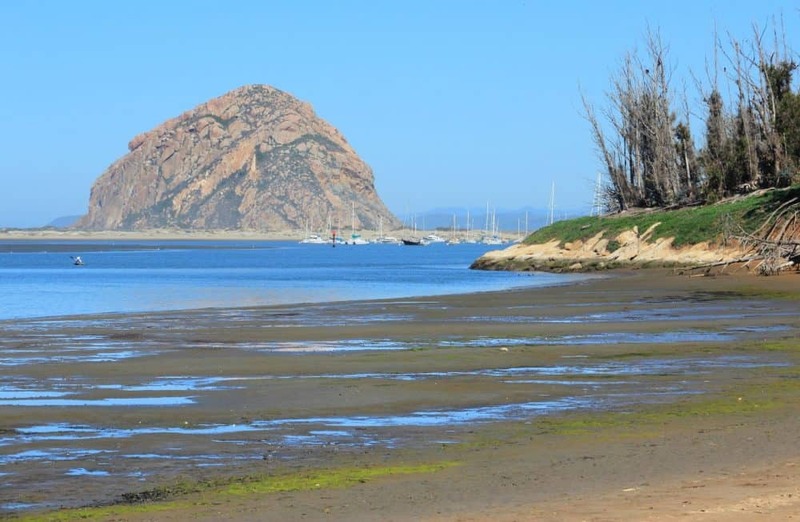 Morro Bay is alive with family-friendly activities, enhanced by the sun and sand. At a distance, you will definitely spot Morro Rock, a landmark jutting from the water. Find an abundance of sea life, such as dolphins, seals and otters, swimming in the bay. Explore the Embarcadero, filled with shops and art galleries. From oceanfront dining to the oyster farm, the catch-of-the-day is always a good option. Fishermen haul in their bounty daily, ensuring you’ll never be left without fresh seafood. Morro Bay is a colorful picture of modern-day life in a true working fishing town. This city is also about playing, and you can enjoy kayaking, sailing, kite-flying, biking, stand-up paddle boarding and surfing… all in a day’s fun. Plenty of outdoor adventures await you, such as an ice-cold glass of barrel-aged sour beer. From excursions, like whale-watching tours, sunset dinner cruises and fishing charters, to annual festivals, such as the Surfboard Art Festival, Bird Festival and Kite Festival. There’s something for everyone with Morro Bay Vacations. Come enjoy the wonder! For a list of all the area beaches << Click Here >>. 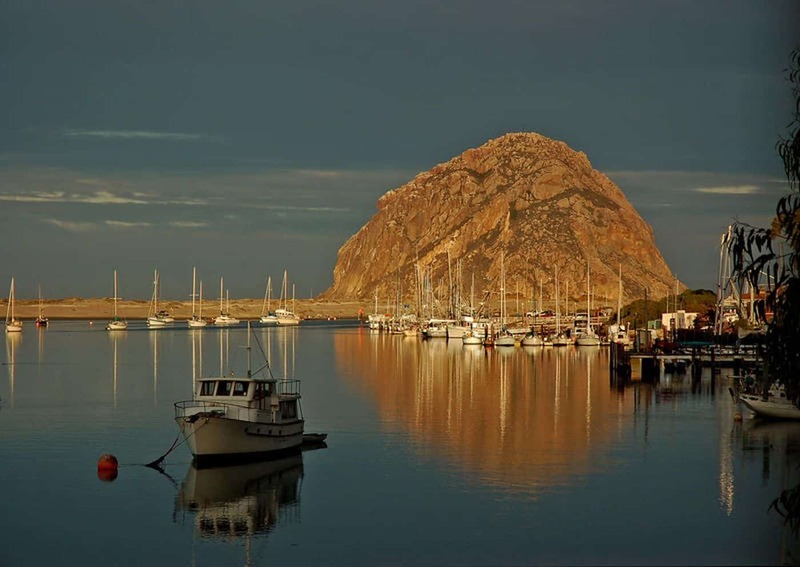 Morro Bay experiences a warm-summer Mediterranean climate characteristic of coastal California featuring dry, warm summers and wet, mild winters. 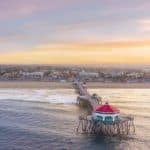 The city is located next to the Pacific Ocean, which helps moderate temperatures and create an overall pleasant mild year-round climate, resulting in warmer winters and cooler summers. Every day is a beach day and very seldom are chilly temperatures experienced – even in winter! So anytime you can have a holiday experience. The best time to visit Morro Bay is in September when temperatures are still warm but room rates are cheaper. During this time, expect to pay approximately $135/night for a 1-bedroom vacation rental. That’s 25% cheaper compared to July. Temperatures are in the low 70s, just a bit cooler than the average 75°F you could experience during high season. The busiest season in Morro Bay is during the summer so expect hotel and rental rates to surge during this period. Try avoiding the Cal Poly Graduation week (June 10th – 18th), the Holiday week (June 29th to July 9th) as well as the Memorial Day week (May 24th – 29th) if you’re on a budget; accommodation rates surge the most during these weeks. When visiting Morro Bay in the winter, don’t forget to pack an umbrella since rain is quite common. The rock is actually the plug of an underground volcano, the result of pressurized lava flow reaching the surface. 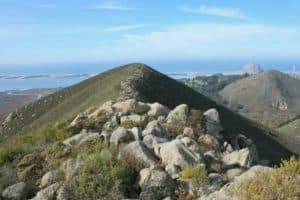 The rock is just one in a coastal chain of volcanic peaks colorfully known as the “Nine Sisters of San Luis Obispo County.” The area is a wildlife refuge. Otters nest in the bay, sea lions relax on the docks, and bright orange sea stars are visible in the crystal clear waters. Morro Bay is frequently cold and foggy, so bring a jacket. In 1979, the Dunes Street Park was developed as a memorial to local commercial fishermen that were lost at sea. This quaint park that showcases beautiful bay views was renamed Anchor Memorial Park in 1991. Today, the park continues to offer breathtaking views and a nearby public observation dock. This park also features newly installed marine style cleat benches, a drinking fountain, and oval picnic tables. On most weekends, visitors are treated to live music by Captain Jimmy. Cerro Cabrillo is one of the Nine Sisters, a group of nine volcanic landmarks in the area. Others include Morro Rock and Hollister Peak. The rock outcrop, composed mostly of rhyodacite, is a volcanic plug formed when magma welled up underneath a layer of softer rock and solidified. The softer overlying rock has since eroded away, leaving a distinct, rugged shape. On its east face is a rock formation named Tiki Rock, because of its resemblance to a Polynesian Tiki carving. Tucked away in the southern coastal part of Morro Bay lies a national estuary home to hundreds of animals and plants. The estuary is considered small at 2,300 acres, but spans enough to connect Morro Bay and Los Osos. This body of water involves Chorro Creek and Los Osos Creek filtering to the Pacific Ocean. The sand spit in Morro Bay protects the estuary from the open ocean swells of the Pacific. The estuary is an essential part of the beautiful landscape of Morro Bay. They offer bay cruise offering above water and below water viewing, humpback whale watching, and gray whale watching. They also offer self-guided tours in the bay with stand-up paddle boards, canoes, and kayaks. 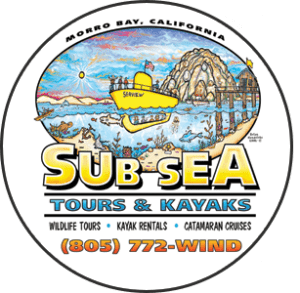 ?For more information call 805-772-9463, or visit them on the web at Sub Sea Tours & Kayaks. They are a full service retail shop dedicated to stand up paddling. They have a SUP rental operation that runs 7 days a week by reservation. MBSUP is an Academy of Surfing Instructors Accredited SUP School and they offer beginner to advanced stand up paddle lessons. 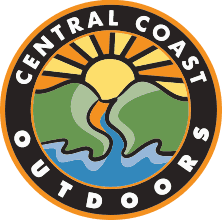 They are the Central Coast’s authorized dealer for Infinity SUP, POP Paddleboards, Boardworks, and Starboard.  For more information call 805-225-7967, or visit them on the web at Morro Bay Stand Up Paddleboarding. Bayside Cafe in Morro Bay was established in 1986 by Cal Poly graduate Dawn Borst who originally opened the café as a walk-up, creating the menu from her own personal recipes. The spot quickly became so popular among the locals and visitors alike that it became necessary to expand. Diners can also enjoy a leashed-dog- friendly patio dining area with umbrellas and heaters. For more information call 805-772-1465, or visit them on the web at Bayside Cafe. If you are looking for the best burger on the Central Coast Come to Beach Burger on the Embarcadero. You may dine indoors or enjoy your meal on the sun drenched pet friendly patio that provides a magnificent view of Morro Rock. For more information call 805-225-1900, or visit them on the web at Beach Burger. The Blue Sky Bistro on the Bay offers a distinctive palate of fresh seafood, sandwiches, and all-day breakfast. At Blue Sky Bistro on the Bay, you’ll enjoy a relaxed dining experience where the upbeat decor is designed to compliment the beautiful views. For more information call 805-772-8988, or visit them on the web at Blue Sky Bistro on the Bay. Open daily 11am – 9pm. Good, inexpensive sushi. Good miso soup, great sashimi and casual walk-up window make it a fun lunchtime stop. The walk-up window is on Harbor Street. For more information call 805-776-5058, or visit them on the web at Candy Fish Sushi. 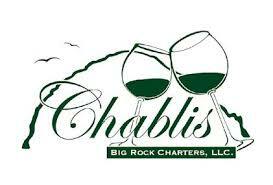 Come and enjoy a fantastic meal and the best view in Morro Bay. For more than a 19 years DiStasio’s has provided a unique dining experince featuring delicious traditional Italian food that is rated among the best on the Central Coast. For more information call 805-771-8760, or visit them on the web at DiStasio’s On The Bay. Open daily 12pm – 7pm (Except on major holidays) Chateau Margene is a boutique, micro-winery producing luxury Cabernet Savignons and Bordeaux blends. Average lot sizes range from 100 to 500 cases with a total annual production of 2,500 cases. The first wine produced was their 1997 Cabernet Sauvignon. 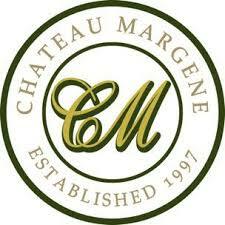 For more information call 805-225-1235, or visit them on the web at Chateau Margene. The Libertine is a brew pub that focuses on brewing barrel aged wild ales. In addition, they also have an extensive beer catalog with 48 draft handles. Even the seasoned beer “geek” can find something to satisfy their palate. Bar fans will enjoy their full bar with specialty cocktails, small batch hand crafted spirits, and a large wine list. The food menu includes most bar favorites, plus local favorites like fish and chips and fresh clam chowder. For more information call 805-772-0700, or visit them on the web at Libertine Pub. 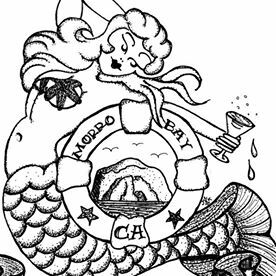 Experience an authentic Morro Bay dive bar. This bar is the perfect place to dance to juke box music, play a game of pool, or chat with locals. Upon entering, visitors will notice vintage seaside collections, corrugated metal, and a warm, friendly, neighborhood vibe. While enjoying your cocktail, enjoy peanuts and discard the shell on the floor to contribute to the ambiance. For more information, call 805-772-7000, or visit them on the web at The Buoy Tavern. 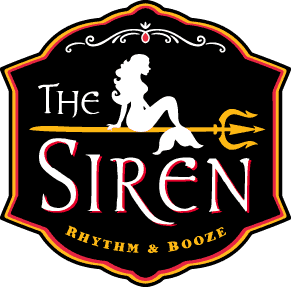 The Siren is Morro Bay’s hottest new bar and live music venue supporting the central coast’s local talent, as well as national touring acts. Over 25 beer selections and kitchen serving food until 11pm coming. Check the live music schedule on their website. For more information call 805-772-8478, or visit them on the web at The Siren Rhythym & Booze. The hottest new wine bar on the Central Coast is in Morro Bay. Choose from over 100 local and international wines. Daily tastings and wine by the glass can be paired with their light but flavorful menu. For more information call 805-772-5055, or visit them on the web at Stax Wine Bar & Bistro. Pleasure, Serenity and Relaxation await you at the newly redesigned and renovated 456 Embarcadero Inn & Suites. Enjoy the tranquility of one of their 29 stylish boutique guestrooms and 4 luxury suites with vistas of Morro Bay Estuary, Morro Rock, the Sandspit and the Pacific Ocean. The Family owned and operated inn is uniquely located on the Embarcadero in Morro Bay, California and is pleased to provide pet friendly accommodations. Enjoy strolling to Morro Rock, beaches, parks, shops, restaurants and along the bay to discover beauty and nature. Their tranquil rooms and suites, superb service and attention to guests needs will ensure your visit to Morro Bay is delightful. For more information, pricing, or to reserve your room, visit 456 Embarcadero Inn & Suites. This property is 2 minutes walk from the beach. Free WiFi and a flat-screen cable TV are featured in each room at the Beach Bungalow Inn and Suites, just 5 minutes’ walk away from the Morro Bay Aquarium. Cal Poly San Luis Obispo is 12 mi away. A gas fireplace, refrigerator, and a coffee machine are provided in all guest rooms. An private bathroom with Turkish cotton bathrobes are included. Select rooms offer a full kitchen. A fire pit is available in the courtyard and guests can relax in the central garden area, furnished with outdoor lounge furniture. Guests receive a full warm complimentary breakfast onsite. For more information, pricing, or to reserve your room, visit Beach Bungalow Inn & Suites. 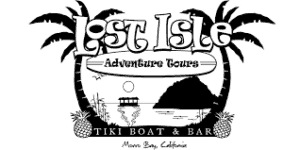 Located 2 mi from Morro Bay State Park and a golf course, Pleasant Inn features free WiFi. Sub Sea Tours and Kayaks is 5 minutes’ walk away. Each room offers a flat-screen TV with cable and premium movie channels. Quality coastal theme furnishings are featured throughout. A seating area, microwave, and a refrigerator are included in all guest rooms. For more information, pricing, or to reserve your room, visit Pleasant Inn. This property is a 20-minute walk from the beach. In charming Morro Bay, one block from the waterfront, this hotel offers close proximity to the area’s restaurants, shops and galleries as well as luxurious accommodations and services. Ascot Suites features traditional English inspired decor and elegant suite-style lodging. Suites boast romantic amenities such as fireplaces, spa bathtubs and mini-fridges. Guests at the Ascot will enjoy a free hot breakfast every morning. Enjoy many species of birds and sea life at this nature’s paradise. Activities such as golf, wine tours and marine activities are offered in the area. For more information, pricing, or to reserve your room, visit Ascot Inn at the Rock. This is an intimate boutique hotel located on the Bay & Embarcadero in beautiful Morro Bay. Whether you are looking for a romantic getaway or a revitalizing stop on your coastal journey, the Estero Inn is awaiting you. Relax on their seaside landing, enjoying panoramic ocean views, amazing sunsets and inspiring wildlife including sea otters, sea lions and seals. They are gently removed from highway 1 on the Morro Bay Embarcadero, just steps away from exceptional shopping, dining and wine tasting. For more information, pricing, or to reserve your room, visit Estero Inn. Hi Leahrae. Wow! Wonderful destination. There are a lot of interesting places to visit in Morro Bay. I love the beach and area, so beautiful. I’m thinking to visit some place in California with my guy, and found this wonderful information on your website! Looks like we have a few great choices. It is definitely a wonderful place to visit. If you love the beach, you will love it here. And you are right, there is so much to see and do. Thanks for stopping by and visiting Morro Bay Vacations. This is very useful information for the travelers. 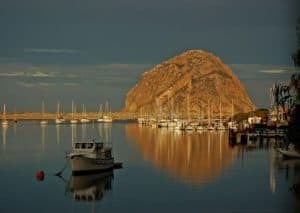 I didn’t know Morro Bay till I read your article. 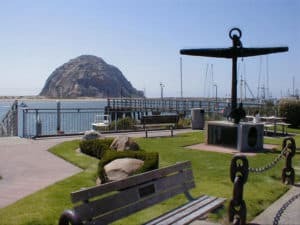 Thank you very much for introducing this beautiful place, after read your article, I am thinking to make a plan to Morro Bay in the future vocation. I like to introduce your website to my friends. Keep going. Great Lori! Morro Bay in Central California is a coastal community that is definitely worth a visit. Thanks for stopping by and reading about Morro Bay Vacations. Hi, Leahrae, thank you so much for introducing such beautiful beach that I didn’t know before. I really want to have a wonderful vocation there after read your article. I also read your other posts that provide helpful information on flying tickets, restaurants and so many beautiful places. I like to visit your website and make a good plan for my future vocation. You did good job, keep going. Thank you Lori, and for stopping by and visiting Morro Bay Vacations. If you have any questions, or need any help with your beach vacation planning, please don’t hesitate to ask! 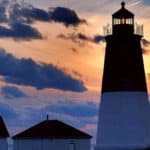 This was a great blog post, I have never ever considered visiting a fishing town because I haven’t found it particularly fascinating since I nine. Though, after reading this, I have changed my mind on the subject and will definitely save my money to visit. I want to kayak, haven’t done that in a way. I love the way you also break things down, what’s great about the place, how much it costs, the best hotels and what to do. 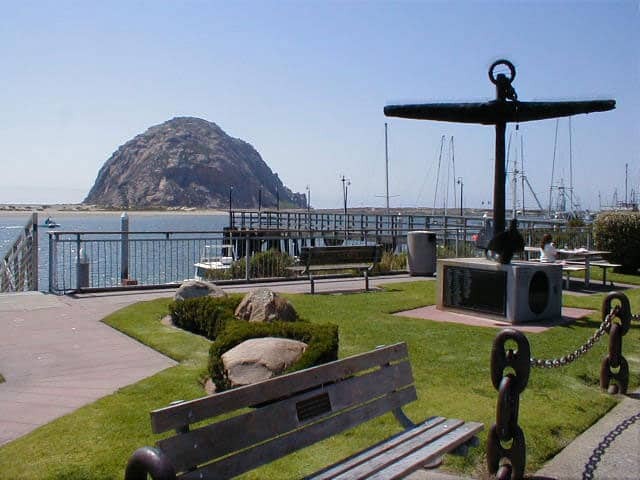 I am glad you enjoyed reading and learning about Morro Bay California. I think you will find that there is a lot more here than fishing. It is a wonderful coastal destination with such amazing beaches. Thanks for stopping by! 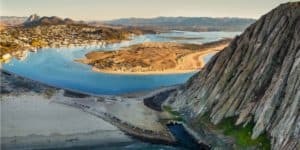 I’ve never heard about Morro Bay before, but your description and drone video attracted my attention. It looks just great and I’ll do my best to visit it soon. Thanks for sharing great tips! Thanks for visiting Morro Bay Vacations Blanka! I hope you can visit soon! WOW, such a great looking place but unfortunately for me a long haul hop coming from the UK. Plenty of information and laid out brilliantly for anybody wanting to pay Morro Bay a visit. Its times like this that I wish I was living in your neck of the woods. Great article and great looking site. Thank you for sharing and maybe one for the bucket list. Definitely one for the bucket list Mick. The central coast of California is beautiful for sure. Thanks for stopping by and visiting Morro Bay Vacations. This looks like a really fantastic place to go, with so much to see and do. I really love reading your posts. You do such a great job, information, reviews, things to do, places to eat, places to stay and even a video. You really do have it all covered. It is a great resource for anybody looking to book a holiday. Thank you for sharing and all the best. You are so welcome Catherine. I am glad you enjoy visiting Beach Travel Destinations and hopefully you can make it to one of these wonderful beach destinations soon. Thanks for visiting Morro Bay Vacations. This is a really well written article! Makes me want to start packing my bags right now. I noticed you happened to give all the hotels a really high rating, but which of them would you personally pick? The Morro Rock looks absolutely incredible, as do the other locations. Will definitely add it to the bucket list! I only list the best hotels, so really any of them are going to be wonderful! But the Beach Bungalow and Suites are my favorite. Once major factor for me is that they are right on the beach. Thanks for visiting Morro Bay Vacations. The first I see in your post is the beautiful scene of an awesome beach.Then, my hungry eyes came vis-a-vis with the scene of the yachts standing tall and low in a twilight-like formation depicting perhaps, the dawn or dusk. I definitely wish a long haul of travel and if that materializes, I must take a bite of the scene of Morro Bay. I see that you’ve given a series of options for travel along with the indication of the cool facilities offered. This is a great read and an informed article. Wishing you a HUGE success and looking forward to getting more updates. Thank you so much Phomrong! I am glad you enjoyed reading my post on Morro Bay Vacations. It is truly a beautiful beach destination with so much to offer. I hope you will visit soon! Such great ideas. You have me itching to take a vacation to Morro Bay now. I had never even heard of it before! Thanks so much for a great post. 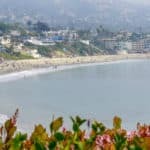 It is a wonderful coastal area in Central California and I know that you would love it here if you were to take a vacation to this great beach destination. Thanks for stopping by and reading about Morro Bay Vacations. Your article really makes me wanting to pack my bags and go there! Thanks for sharing wonderful information. Thank you Mariette for stopping by and taking the time to leave me some comments. I am glad you enjoyed reading about Morro Bay vacations. I had no idea that this beautiful place existed just 3.5 hours from where I live. I hope my family and I will get to visit Morro Bay one day. Thanks for this info. Wow, you are so close and so lucky! It really is a beautiful area of California with so many things to see, do, or just if you want to relax on the beach and take in the scenery. Then Morro Bay Vacations is perfect! Thanks for stopping by! 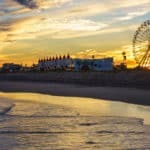 I love beaches, so this article was very interesting for me. I love California and I am hoping to visit soon. This information is very helpful for me. Thanks! I am sure as you can tell, I have a passion for beaches as well. California is a wonderful place with so many awesome beaches. Morro Bay and the whole Central coast of California is beautiful. Thanks for visiting Morro Bay Vacations. What an informative post. So much detail and I love the pictures. It gives me a better visual. I have not experienced vacation in September because I have elementary aged kids who are in school at the time. But I keep saying me an my husband will take a trip by ourselves soon. I think I have found the place to go thanks to this post! Great Davona, you will absolutely love Morro Bay. It is so beautiful and so much to see and do. Please let me know if you have an questions. Been too long now since I have had time to dip a toe into an ocean somewhere on a beach. I was just Googling beach travel destinations, and incredibly, your post had those words in it – that was cool. So I clicked on it! I see you have many options to choose from, and yes I am still looking, and hopefully I can find that appeals to be. I desperately need a holiday before I get too old, LOL! I do have a lot for you to pick from Philip 🙂 I hope you have found the perfect destination for you. Morro Bay Vacations is a great way to enjoy the beach, dip your toes in the ocean and walk in the sand. Such beautiful scenery and amazing wildlife. Thanks for visiting Beach Travel Destinations. 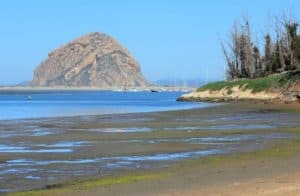 This post is jam packed with Information I’ve always wanted to visit Morro bay with this information I know just when to go to enjoy the sites without draining my wallet. Thank you so much for this great post. You’re so welcome David! I am glad I could provide the information you were looking for to plan your Morro Bay Vacation. You will have a wonderful time. Please let me know if you have any other questions.